Sell your real estate investment properties faster and for a higher price! How? Have your investment real estate staged by professional home stagers at Moving Mountains Design. As a wise real estate investor, you know you have to spend a little money to make even more money. Home staging has been proven to help homes sell faster than unstaged home, usually for a higher price. In one study, published by the Real Estate Staging Association, staged homes sold 74% faster after they were staged than when they were unstaged. That resulted in lower holding costs and less time wasted, which equals higher profits. Following are some Los Angeles properties staged for local real estate investors. Just click on any photo to see more photos and information about that particular property. This San Gabriel home sold 1 day after staging after being on the market for 6 months unstaged. If you are a real estate investor with assets to sell in the Los Angeles or North Orange County areas, call the home staging company that real estate investors, large and small, trust to help sell their investment properties, Moving Mountains Design. We are set up to handle multiple properties at one time and stage properties valued as low as $250,000 and as high as $7M. We will travel to stage properties outside the Los Angeles area (special terms apply). The photos look great! I know many investors who have successfully used staging. Thanks, John. I really enjoy working with real estate investors. Hi Michelle--Your staging is really beautiful. Small wonder they sold so quickly. Investors get it. Staging means less time on market, less carrying costs, higher return. Janet: That's why I enjoy working with them so much. Thanks! Most investors I've been in contact with are looking for $300/month (all in) for Staging. Oh well. They'll come around. Julia: The investors who "get it" are out there. Keep looking. Michelle - beautiful work. Its great to see professional home stagers do such a fabulous job! Michelle - we have been doing a TON of staging for investors/flippers in Santan Valley, AZ. In a sea of vanilla, distressed homes, having a clean home with some COLOR and WARMTH is netting them fast sales! We have seen them sold between 1 and 10 days on market, with 3.5 the average - in an area where 3 months+ is the average! Sharon: That's awesome! You are doing your real estate investor community a great service. Investors are becoming one of the primary target groups for staging -- because they really understand the value that it brings. You can't argue with success -- great staging! Maureen: I agree and thank you! Michelle -- beautiful work and I'm glad to hear SOME stagers are getting jobs from investors! Like Julia, and I'm not far from her, I find the investors who have contacted me want very cheap stagings, and so far have decided to do it on their own (not very well in most cases I've seen). 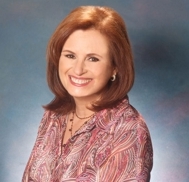 Hi Amy: Real Estate Investors are business people. They want the most bang for the buck. Our job as stagers is to convince them that value & quality are just as important as price. It doesn't matter is something is cheap, if it doesn't perform well. Great photos (as always) and excellent points about invostors and staging. We are seeing more and more investors in Cincinnati build staging into their project budgets.